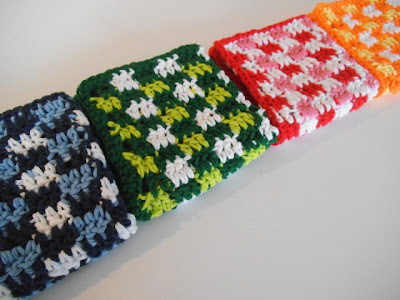 Apple Blossom Dreams: Stash-Buster #7 - More Dishcloths! 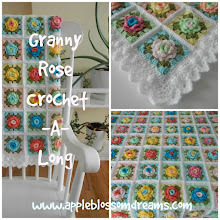 Inspiration and pattern link from the amazing Sandy at Teacup Lane. 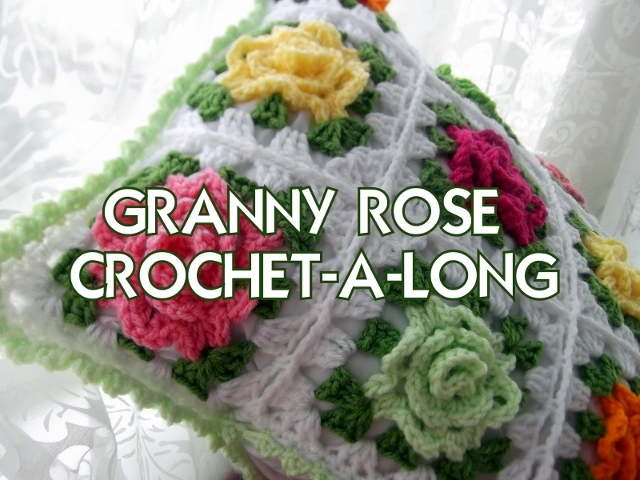 She is a super-super crocheter with lots of fun projects. 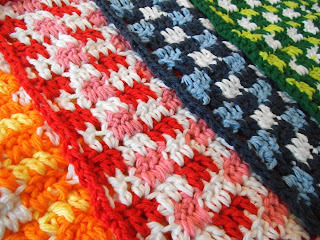 Click here for Sandy's gingham dishcloth post with the free pattern link for the mod dishcloth. Seems likes it's for the entire year! 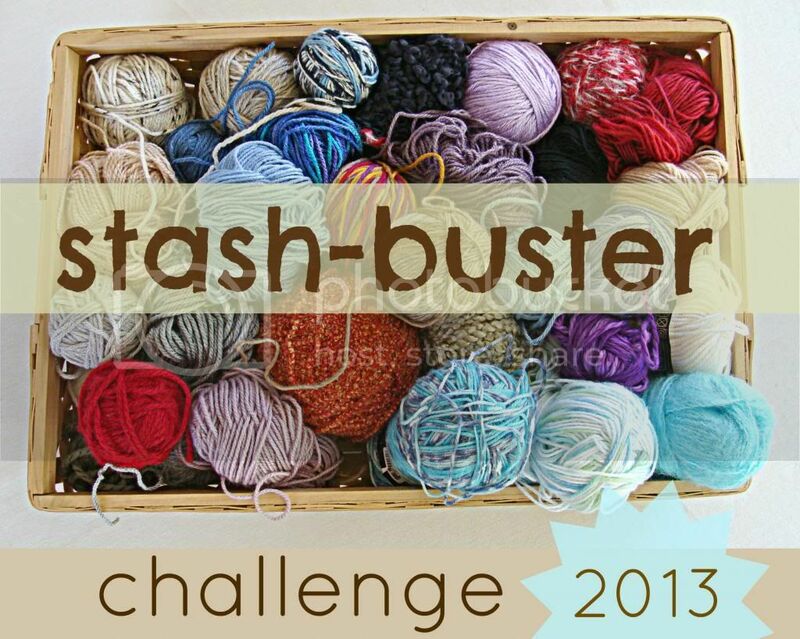 More stash busting in the works. Everything you do is so beautiful! Do you have a blog, I am curious about the goat borrowing? Really nice! 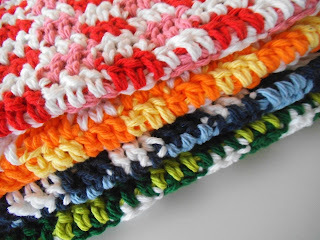 I want to make some too. Thanks for sharing the link. Happy weekend. 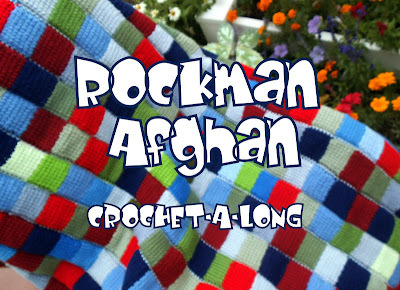 Thank you my Daisy Afghan Walking buddy. Thanks for dropping by. Lots of good stuff on your blog! Dang, these are cute! 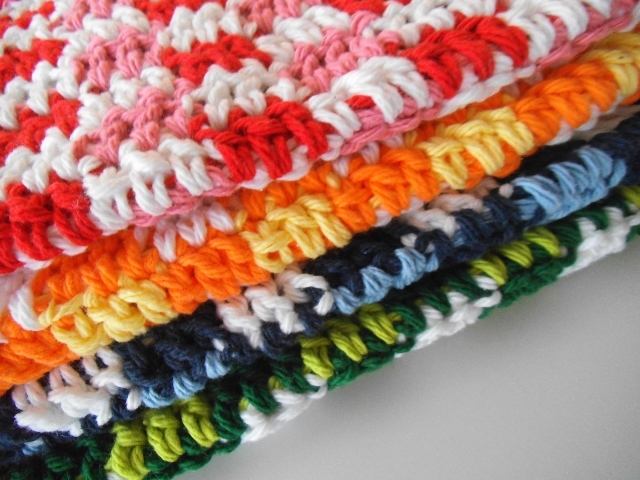 You can never have too many thick cotton dishcloths, and they make great gifts too. I will definitely have a stash of gifts...oh and I will check out Mimi. Oh yes...just added the link. I am loving this Linda! Haha and even more to come...Thanks for visiting Sandy! 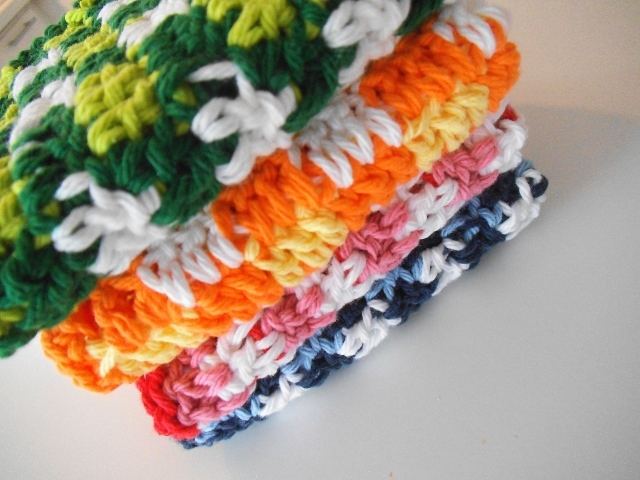 Fab Astri - you are delivering dozens of delightful dishcloths! How did I missed this post Astri! You have been very busy. I love the gingham dishcloths you made from the pattern I blogged about. Thanks for the links back to my blog. You are so kind with your compliments. I wasn't sure what Franciens Haakwerk was talking about on 2/1 about getting a virus if she links to my blog? As you replied to her (thank you!) there is no virus connected with my blog and never has been. Maybe she was being funny?